we have achieved direct contract with a global aircraft engine OEM. We are engaged with SAFRAN AIRCRAFT ENGINES (formerly SNECMA), a leading manufacturer of aircraft engines, to perform mass production of titanium–aluminum turbine blades for the next generation aircraft engine, “LEAP,” under a long-term supply agreement. This is the first direct transaction for a small to medium Japanese enterprise. At present, we are making daily efforts to strengthen a mass production system that can withstand the rapid increase in production rates. We received overwhelming development capabilities and responsiveness. Our experience developing prototypes for difficult-to-cut materials (including titanium and nickel, titanium aluminum, CMC and other heat-resistant, advanced materials) from 2000 onward has greatly contributed to this direct contract with OEM. As a result of accumulating titanium–aluminum processing experience in dealings with major Japanese aviation industries, we received a very high evaluation for our technical ability to find optimum processing conditions with our developed tool in mass production, along with our selection of the LEAP engine. relationship with customers. For example, for both 2D drawings and 3D models, both the original tool and the CAM / CAM program coding were developed quickly. Moreover, the quality assurance method of the products was established in parallel. In terms of our equipment selection, our domestic and overseas advanced facilities were considered. The negotiation was carried out during the early stages of the investigation, and we have introduced only what is optimal. For instance, in the field of cutting processing, which is our main process, we have maintained the high rigidity of the machines as a result of research and development with Mitsui Seiki Co., Ltd. for several years. The French water jet machine, Aquarese, makes it possible to process complicated shapes using multiple indirect robots in other processing steps. 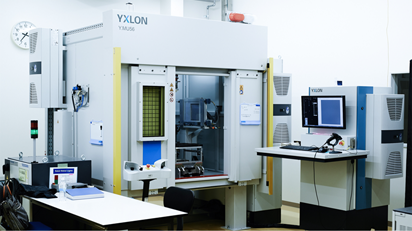 Germany’s digital X-ray machine, Yxlon, specializes in automatic shooting of turbine blades in the field of inspection. We have introduced a non-contact 3D measuring instrument by Wenzel. We are deeply aware of the difference between development and mass production. The tools required for development and mass production are totally different. As mentioned above, we have won the trust of customers in the development phase, in which we can make only one lot per month. However, the mass production of 5 lots, 10 lots or 20 lots per month is significantly different, so we have to change our mindset in every way. For the development prototype, it was possible to build highly accurate products that were close to the nominal size of demand by quick generation of the CAM program, machining simulation, and in-house manufacturing of jigs and tools. Nevertheless, since even the same types of jigs, tools, and facilities have certain variations in the mass production, it is necessary to consider robustness. As a matter of course, the initial production system has caused a lot of trouble in the rapid ramp-up. Regarding the organizational structure, we have also been required to consider, propose and implement our own in order to introduce the sophisticated production plans and approaches to acquire product certification, for which Japanese heavy industry companies were originally responsible. Since the full-fledged operation in January 2016, we have continuously improved our formations from being zero-based to being a true partner in dealing with global OEMs. 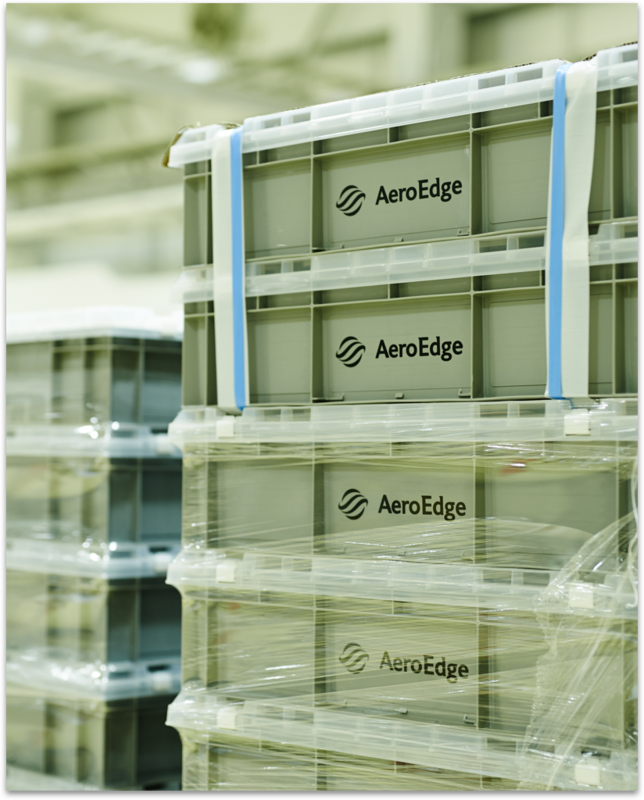 We continue to adopt IoT, Big Data Analysis, and AI actively, with the aim of realizing "AeroEdge’s unique smart factory," and we will continue to be strongly competitive in the market. We are equipped with a global perspective supply chain from materials to finished goods. It is not possible to survive with a single process such as “processing only.” What the global OEM requires of suppliers is not only a single process but also the ability to process materials from procurement to finished products in one stage. In recent years, this tendency has been increasing more and more. Our company was also asked to transform from a simple processing shop into a business entity that could be consistently entrusted with special processes such as nondestructive inspection. To launch a nondestructive inspection process, there must be at least one certified “Level 3” inspector, according to international standards. We faced serious difficulty: few domestic engineers are at level 3, and furthermore, domestic training resources were very poor. Owing to our customers’ support and relationships overseas, we have built up our own nondestructive inspection team by dispatching our products to France and by receiving training and attending lectures overseas in France and Belgium. For small to medium enterprises that aim to enter the global aviation industry in the future, we contribute to the establishing of autonomous nondestructive inspection certification systems and inspectors’ training systems in Japanese. We have flexibly responded to the frequently changing production demands by utilizing not only domestic but also overseas suppliers in the early development phase, and we have therefore been highly impacted by the material development section. As of 2017, we have come across a global supply chain that incorporates US suppliers into the mass production supply chain, taking into consideration material recycling.